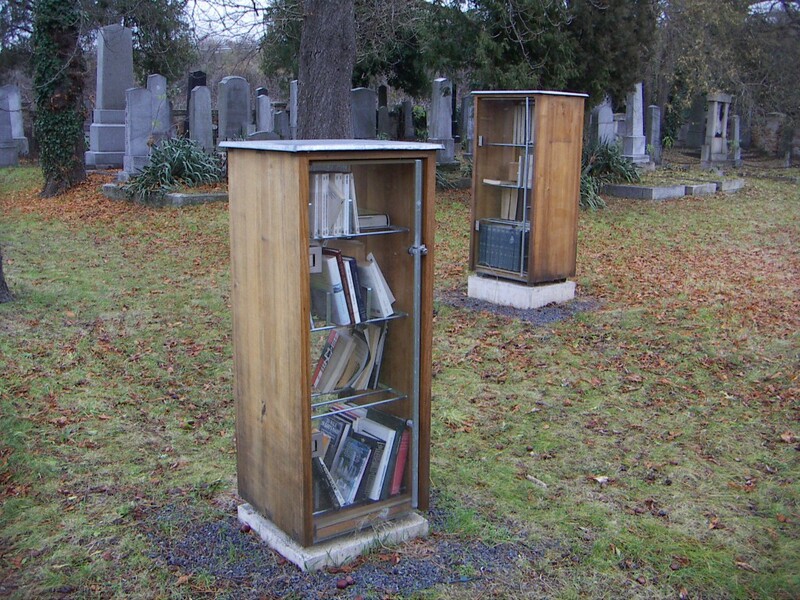 Michael Clegg and Martin Guttmann installed The Open Public Library by placing weatherproofed, unlocked bookcases in three different neighbourhoods of Graz, Austria. 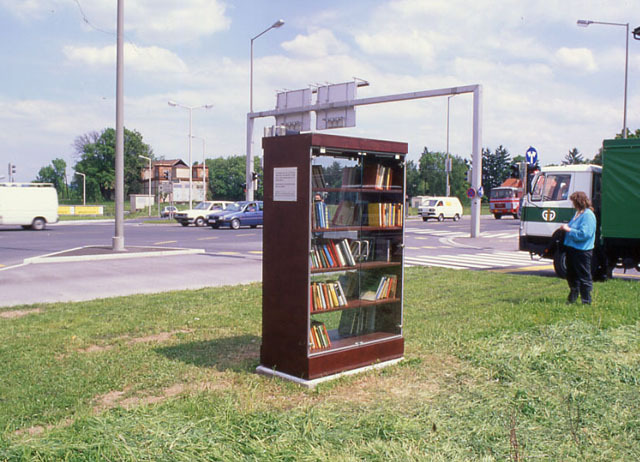 The artists established direct contact with the community through collecting donated books door-to-door. Each bookcase held those books donated by the community. Neighbours could borrow the books for a few days and then return them to the cabinet. Neither registration nor a library card was needed. To provide a representation of the neighbourhood, to stimulate social imagination and collective responsibility. Access to public and shared resources without any restriction or administrative requirement.